Logo kisi ki Aurton ko mat dekha karo…. 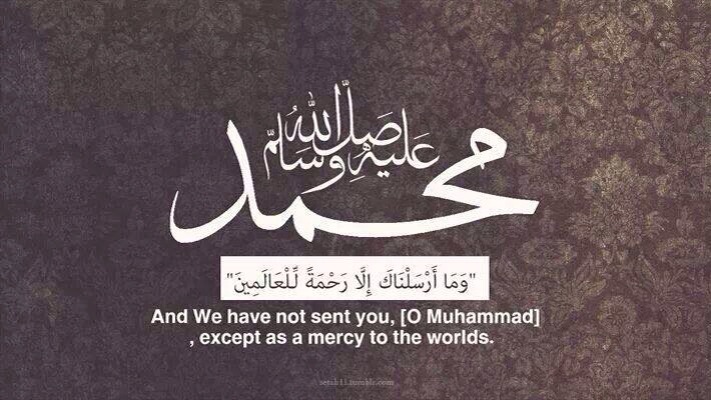 Muhammad PBUH the Role model for whole Humanity. Peace Islam 12 Rabiul Awwal. This blog is about 10 “Must Have” FREE apps for APPLE’s Iphone users, based on personal experience and usage. Apps discussed below are the ones, which I use almost on daily basis. The choice can vary person-to-person therefore there are some pre requisites before you go for these apps. So if you have all above GERMS inside, then please go ahead with the apps below. The numberings below are not priority as all apps below have their own existence and usage. All apps are available in Apple’s Appstore and FREE to download. If you think you are active on Social Media but you don’t use Facebook, then you need to think again. Facebook is the most used Social Media website of the world. It has the population age from 8 till 80+ years and still growing. Facebook contains interactive games, pictures, videos, recipes, competitions etc etc. We can easily say that Facebook currently contains almost every activity which was earlier supposed to be Physical or Theoretical. TweetCaster app is an alternate to Twitter application. It contains all the existing features of Twitter app plus some of its own features which gives this app a BIG plus point over Twitter app. Now a days Twitter is used by all major celeberities & companies to keep in touch with their Fans. In Twitter you need to express your status in 140 letters. TweetCaster gives you the previlige to write more than 140 letters for a single tweet using builtin URL Shortening service. You can also check your statistics of Twitter activity.You can also check the tweets of people near your current location. It uses your existing coordinates through Location Service. If you have extra ordinary attraction towards photography and want to show to the world your Master Pieces then this is the best App for you. You can share your photos to the world through posts on Facebook, Twitter, Email, Tmblr, Flickr and Foursquare. Your dedicated web based sites of all of your photos. You can see photos of your friends whom you follow on Instagram. If you have a habit to show the world where you are, then its the PERFECT app for you. Check the popular tip of the area / locality or restaurant. Find great adventurous places to go. Check what your friends like to do and like to go.Save money of great deals exclusively advertised on Foursquare. Keep track of the locations you been for future reference. Best app for Professionals to start friendship with other fellow prefessionals through Social Media way. Find million of prefessionals worldwide of same prefession as you are and increase your professional social networking circle. Share / Find Jobs of your choice with / From Millions of users worldwide. Share / Read Articles related to your field and improve your knowledge. Browse CV’s of other colleagues.Send CV’s directly to recruiters. Endorse and get Endorsed by others wrt Skills and Professions and show it to the World. •Purchase and upgrade your account to a LinkedIn Premium Subscription from within the app. There are times when you see a professional Tweet / Facebook update / Linkedin update or any news /article and you want it to share it on all Facebook, Twitter, LinkedIn, Google+, app.net simultaneously. If above is the case with you then you dont need to go any further. Just download this app and this will share it on all 3 Social Media sites at same time. You can also Schedule your updates at particular time with this app. Just add them to the Buffer and let Buffer share it on your social media at the time of your choice. • Share to multiple Twitter, Facebook, Google+, LinkedIn and App.net profiles from one place. • Get Analytics for each social update you share: Clicks, retweets, likes, shares, mentions and more. • Get your posts automatically timed and scheduled, so you never have to worry about setting a time and date. Just hit “add to Buffer”. • Add updates to your Buffer from lots of different apps or via email. • Get the mobile Safari bookmarklet to share any post you are reading. • TweetCaster for Twitter: An awesome Twitter client, that lets you Buffer retweets and new updates. • Instapaper, Feeddler, App.net Rhino, Drafts and Tweetings are also great apps you can Buffer from. Without any doubt the most popular running app on Appstore. Whether you are on Jogging Trail or running on Tredmill, it will keep logging your workout. Listen to the songs while running and get motivation. Sync it with iTunes.Sync it with nikeplus.com and share it on Facebook / Twitter & Pintrest to show the world about your Calories lost and distance travelled with jogging route. • Keep track of who’s in the lead and stay motivated through group chats. • Finish a Challenge before your friends and take home a medal. We’ll leave the bragging rights to you. Every day a PAID app FREE for 24 hours through “APPOFTHEDAY”. You might find very interesting apps of your interest if you check it daily. You need to enable Push Notifications for the app so that you know which new app is listed on 24 hours FREE listing Today. Once you downloaded the app, it will be free for life even though the same app becomes paid again. One of the most popular VOIP app in App Store world wide. Nothing much to say for this app as one sentence says it all, FREE PHONE to any Viber user in whole World using 2G, 3G, 4G or WIFI network. You can also send mesasges, pictures and videos to your friends on Viber. Your Phone number is your ID so no hassle for remembering any numbers. If your number is in your friend’s Address book then they will be automatically informed about your Viber availability once they join Viber and vice versa. • No ads and 100% free*. The free version of most popular Flight Tracking app turns your Iphone into Air Traffic Radar and let you see airplanes flying all over the world in Real Time where FlightRadar24 transponder receivers are installed. Its a must have application if you are interested to track planes of your loved ones and need to know where they are currently. * Planes moving in real-time. * Airline and callsign information for individual planes. Today Officially launching the website. http://WWW.ADEEL-KHAN.COM is Ready to be visited. Totally overhauled as now using HTML5 with proper proportions. Also added FB Like and created a page on FB to promote. Updated the Contact Form and its now working fine. Also added Recent Blog Posts stream using RSS Feed JScript but its needed to be confirmed whether it will update the latest feed when new blog is posted or not? Today, 5th September 2013, I have refurbished my website by switching form normal HTML website to HTML5 version. Finished at around 0400 hrs in morning. The look and feel is now great. Website is still not officially launched or promoted as there is still work to do like banners, counters and fixing the contact form. Redesigned my website with new design and new material. Atlast I found the desired Theme for my blog. Its been uploaded and seems to be working fine as per my requirement. This means that very soon I will be starting the blogs officially. Thats good. Thats great ..
Hopefully all things go well.